You know I love trying new products. 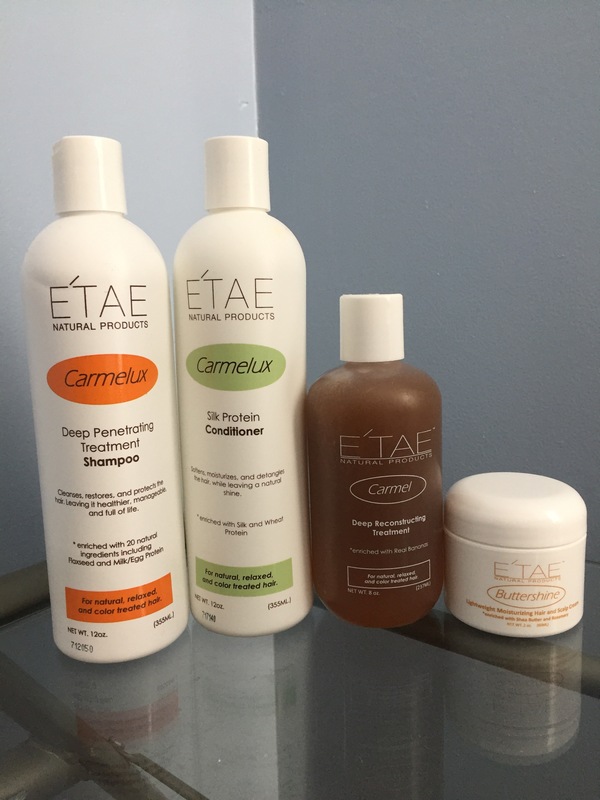 Recently, I tried the line of E’Tae Natural Products. I tried the Carmel treatment alone in the past and it worked well, but I was curious to know how the whole line works together. They had a 25% off sale, so it was the perfect time to get the bundle. I ordered the Ultimate Bundle which included the Carmel Treatment, Carmelux Shampoo, Carmelux Conditioner and Buttershine. I dampened my hair, applied the Carmel Treatment and a plastic conditioning cap and let it sit for about 40 minutes. The instructions say not to apply heat. It smells amazing, like honey! All of the ingredients are natural and things I probably have at home at any given time. I love that about the Carmel Treatment. Next I shampooed twice. I was surprised that the shampoo didn’t lather as much as I thought it would. I guess I’m just used to my shampoo that lathers a lot. 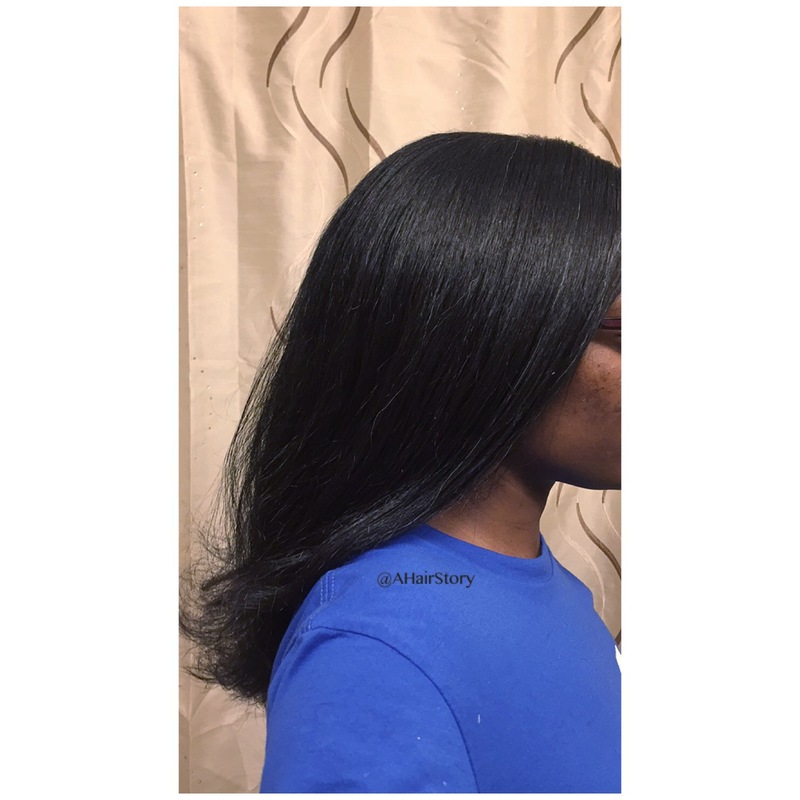 It did clean my hair and scalp very well and the second round of shampoo did lather much more than the first. It was a very moisturizing shampoo. My hair didn’t feel stripped after. 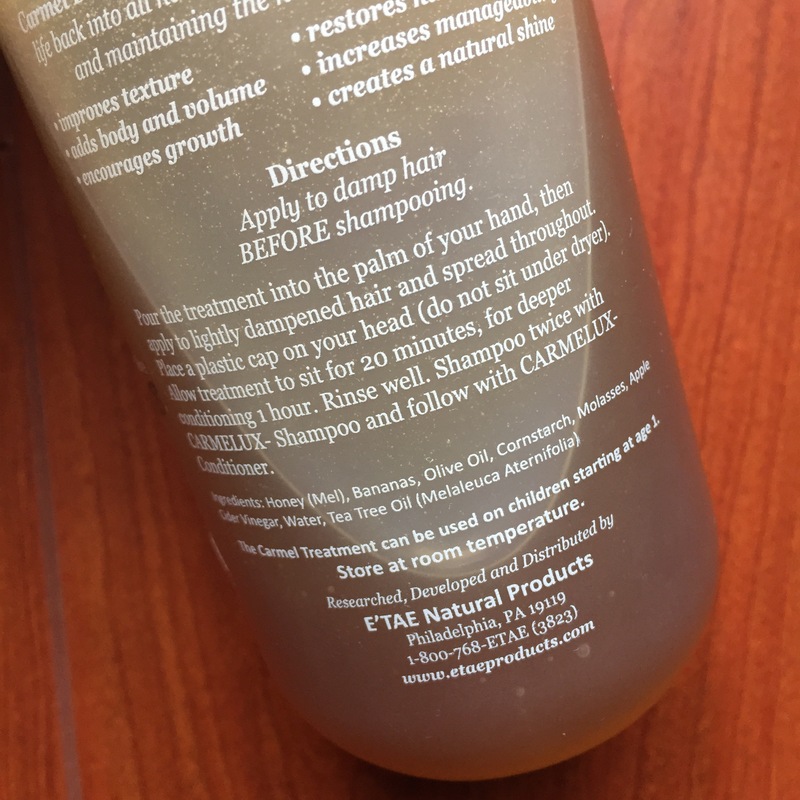 The directions even say that you can leave the shampoo to sit in your hair for 10 minutes. I didn’t do that this time though. Next I applied the Carmelux Conditioner. Excellent slip. I usually comb my hair through as I’m rinsing out my conditioner and it was great. The directions state that you can leave it in as long as you like. I was tempted to take a nap, but I was pretty curious to finish and see my final results. 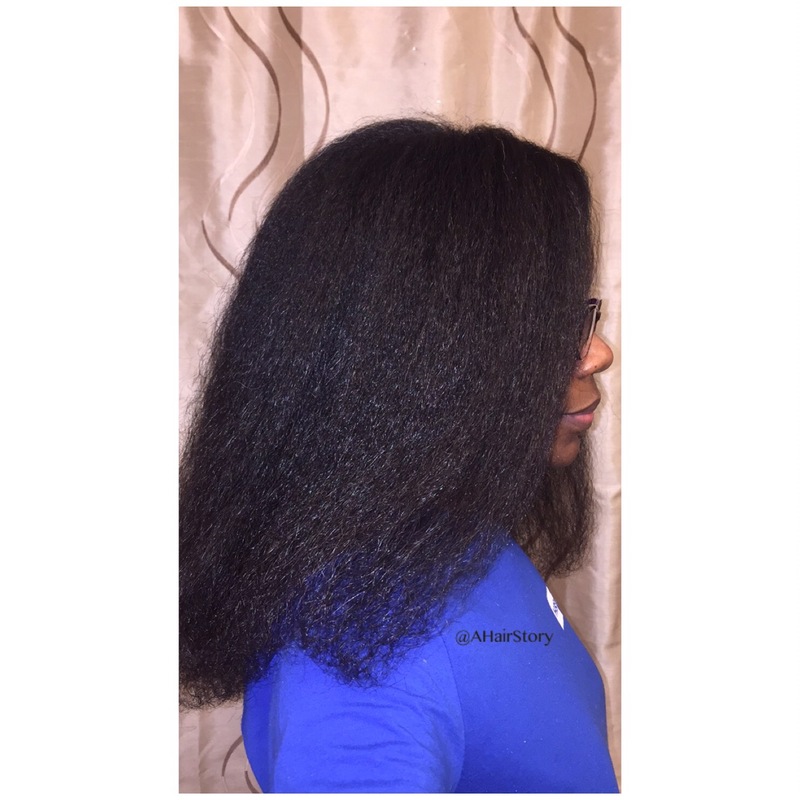 I blow dried my hair, then applied the Buttershine, then flat ironed my hair. In all of their videos, they show the person using a drop of Buttershine and it somehow is spread throughout their whole head. I’m probably a bit heavy handed with products, so I had to be more conscious about using a small amount. I sectioned my hair in 4 and applied a small amount to each section. These are the only 4 products I used. I did not use my holy grail extra virgin olive oil. I did not use my usual heat protector. So we will see. Praying for no heat damage. As far as results go, my hair did come out very straight. It isn’t any straighter than when I straighten it with other products. 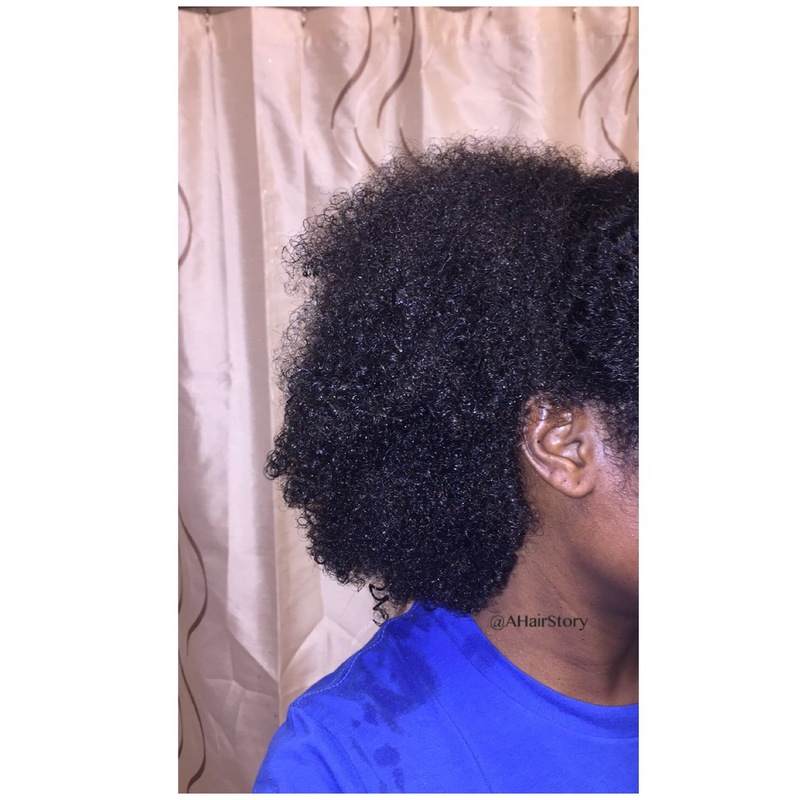 It does feel very moisturized and silky without feeling weighed down or greasy, which was nice. My hair is usually pretty easy to detangle when it’s wet, so it was just as easy after using these products. One thing I did notice was that my hair didn’t dry out as quick before I actually got to that section. I stopped to take pics while my hair was wet and when I went back to style it, it was STILL easy to detangle and wasn’t dry. This was different. I initially was hesitant about trying the whole line because of the possible smell. I don’t like the smell of tea tree oil and it is an ingredient in the products, but thankfully the products smell good. Also, the Buttershine made me think of Sulfur 8 because it’s yellow, but it doesn’t smell like that or linger in your hair like that. So all is well! Another positive is that they ship super quick, meaning it leaves their warehouse very fast! It also arrives to you very quick, but you do pay the cost. I ordered on a Friday evening and received my order by Tuesday morning. I’m definitely going to continue to use the products. I don’t know that I’d straighten my hair every single time, but it’s definitely worth trying if you haven’t yet. What’s the purpose of the Carmel Treatment? It’s supposed to strengthen, soften and make hair more manageable. Check out their website. There’s more info there.